William (Bill) Waddell, Esq. 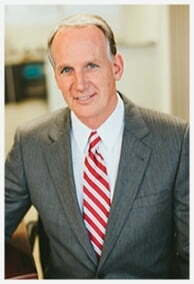 is a partner at the nationally recognized law firm of Yuhl Carr, LLP. Mr. Waddell joined Yuhl Carr, LLP in 2016; bringing his 25 years of legal expertise to further bolster Yuhl Carr’s already excellent reputation for achieving superior results for its client. In the tradition of Yuhl Carr, Mr. Waddell takes the time and care to ensure each client understands all aspects of the case and the comprehensive scope of the legal services to be provided. Every client receives focused and personal attention to their needs in developing and executing strategies intended to deliver the best results possible. Yuhl Carr is a boutique plaintiff’s law firm that handles a wide variety of legal matter for consumers, including personal injury, wrongful death, class actions, mass tort, and labor and employment law. Most all cases are handled on a contingency basis; such that Mr. Waddell and Yuhl Carr are only paid if they successfully recover money on your behalf. All consultations are free.